This is an introductory course in Finance for students who have no prior background in Economics or Finance. The approach used will be mostly non-quantitative, but some arithmetic calculations will be used in case examples to strengthen students’ understanding. Students will learn the basic concepts and tools used in Finance that will help them understand how firms make decisions in financial management issues. Students will also learn how financial assets are priced, and how firms manage their financial capital in the short and long term. At the end of the course, students should have acquired basic analytical tools useful for making sound investment decisions. Identify key financial issues facing a manager in making financial and investment decisions. Explain the time value of money and the concept of discounting. Use financial statements, and identify cash flow, and taxes. Evaluate a company’s performance based on their financial statements. Discuss the role of financial markets and institutions on company policy. 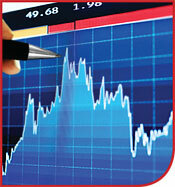 Determine interest rates and explain the role of interest rates in financial markets. Calculate the price and value of bonds. Demonstrate how the relationship between risk and rates of return effect prices. Calculate the value and price stocks. Compute cost of capital in financial analysis. Discuss the basics of capital budgeting and their bearing on investment decisions in the long term. Analyze cash flows and risk. Understand dividend policy: know when and why distributions are made to shareholders, and identify how these distributions are made, be it dividends or share repurchase. Use working capital, financial planning and forecasting, to guide multinational financial management.